Storm Damage can come in many forms. Hail, Wind, and debris such as trees down or limbs impacting your roof. Lexington SC is especially susceptible to these types of damage in the early spring. Hail is a product of heavy updraft winds in a sever thunderstorm. Hail is often unexpected and sudden. Often times when these storms hit they are quick short storms that have heavy winds associated with them. 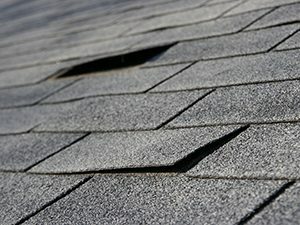 Hail damage often results in heavy roof damage that will require total roof replacement to correct. In some lesser instances a simple roof repair may be all that is required. Choosing a good local roofing contractor is key to a successful roof repair or roof replacement. Wind damage to your roof can be far less obvious. Often times when I inspect roofs in Lexington I find that wind damage has gone undetected for quite some time. Wind does not normally cause an immediate leak but it will certainly decrease the life expectancy of your roof dramatically. Having a knowledgeable Lexington Roofer inspect your home after a heavy storm with high wind can give you the peace of mind in knowing that your roof is not damaged. If you are in need of roof repair or even roof replacement, you will often times need a highly skilled roofing contractor to locate wind damage as it is often very difficult to identify. Trees and debris are likely the number 1 cause of actual roof leaks from storm events. Tree branches can puncture a roof and cause heavy leaking. Anytime a tree falls or debris from a tree hits your home you will most likely need a roof repair of some sort. Sometimes these types of storm events can result in total roof replacement. One of the major needs in this type of situation is a professional water mitigation company. Sincerely Yours Inc. is a local company that has many years or experience with handling these types of issues. If you experience one or more of these types of storm damage there are a few things you can do to help expedite your repairs and get your life back to normal. 1. Do your homework and have an emergency water mitigation contractor and a roofing contractor that can handle emergency roof repairs. 2. Establish a relationship with your insurance agent. If your agent simply gives you an 800 number to call, you might want to consider searching for a more personal relationship with your agent. A good insurance agent can be one of your best resources when it comes time to file a claim. 3. Have a roofing contractor that knows insurance and is local. 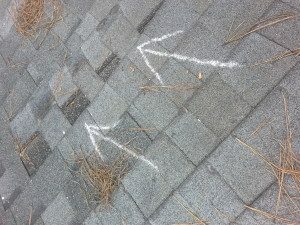 You should always have your roof inspected before filing a claim. If your roofer advises you to file a claim be sure he/she is willing to meet your insurance adjuster onsite to point out the damages they have found. Again roof damage can be difficult to identify and your insurance adjuster will more often than not appreciate a roofer that is willing to meet him/her onsite to discuss the damages.